"You both have such strong personalities." A24 has unveiled the first trailer for actress Greta Gerwig's feature directorial debut, an indie coming-of-age drama titled Lady Bird, being released by the excellent A24. This film actually just premiered at the Telluride Film Festival over the weekend to rave reviews, which means it already has some great buzz to go along with this trailer. Saoirse Ronan stars as Christine 'Lady Bird' McPherson, a quirky teenager living in Northern California with her eccentric nurse mother. The cast includes Laurie Metcalf, Tracy Letts, Lucas Hedges, Timothée Chalamet, Beanie Feldstein, Lois Smith, Stephen McKinley Henderson, Odeya Rush, Jordan Rodrigues, and Marielle Scott. As seen in this trailer, the film examines "both the humor and pathos in the turbulent bond between a mother and her teenage daughter." Looks great! I'm looking forward to seeing it, A24's films are always top quality. 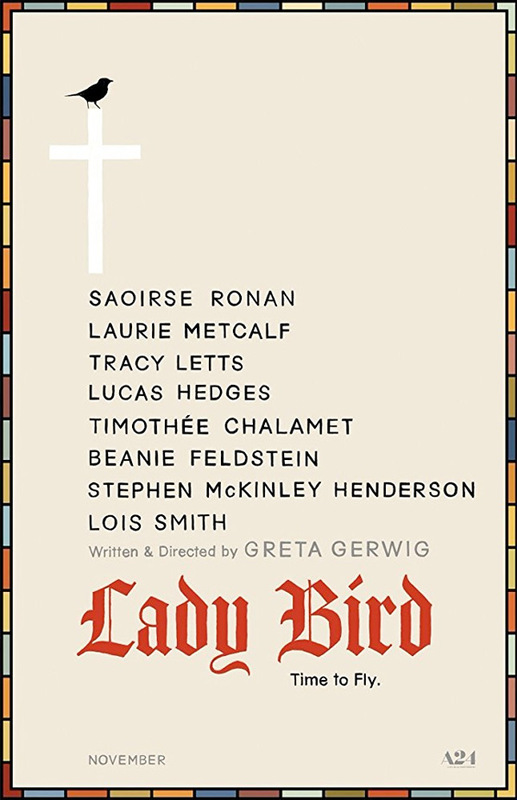 Christine "Lady Bird" McPherson (Saoirse Ronan) fights against but is exactly like her wildly loving, deeply opinionated and strong-willed mom (Laurie Metcalf), a nurse working tirelessly to keep her family afloat after Lady Bird's father (Tracy Letts) loses his job. Set in Sacramento, California in 2002, amidst a rapidly shifting American economic landscape, Lady Bird is an affecting look at the relationships that shape us, the beliefs that define us, and the unmatched beauty of a place called home. Lady Bird is the feature directorial debut of acclaimed American actress Greta Gerwig, though she also co-directed Nights and Weekends with Joe Swanberg previously. The screenplay is also written by Greta Gerwig. This just premiered at the Telluride Film Festival, and will also play at the Toronto Film Festival next this fall. A24 will then open Gerwig's Lady Bird in select theaters starting November 10th this year. Who's interested?